Our midwifery students have been busy organising a day of celebration for women and midwives on 18th July. 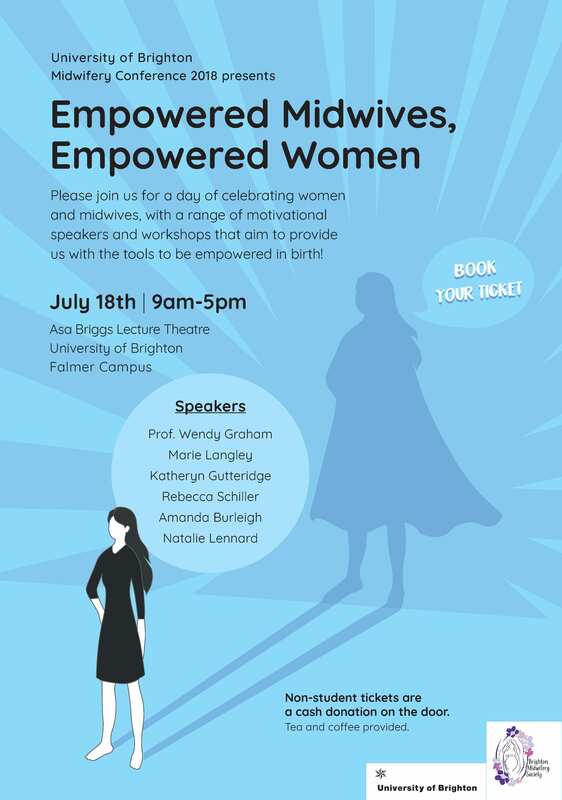 The ‘Empowered Midwives, Empowered Women’ conference is an all day event from 9am-5pm and takes place on our Falmer campus.Speakers include Prof. Wendy Graham, Marie Langley, Katheryn Gutteridge, Rebecca Schiller, Amanda Burleigh and Natalie Lennard. Non student tickets require a small cash donation on the door. Tagged 'The Brighton Midwifery Society', midwives. Bookmark the permalink.